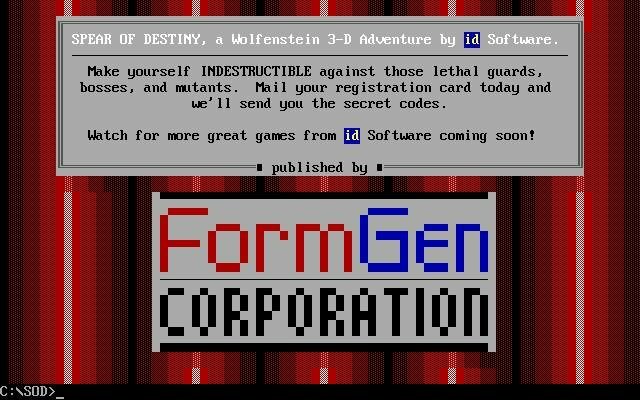 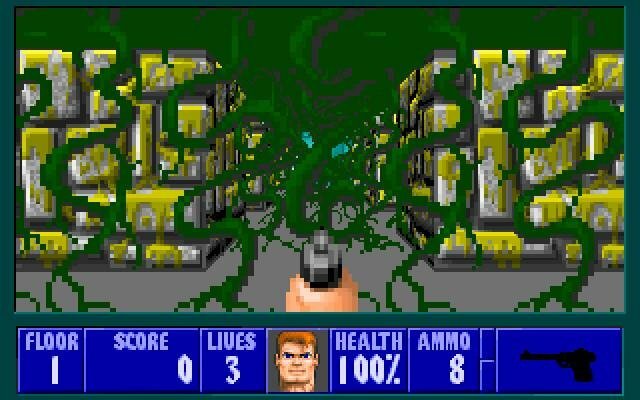 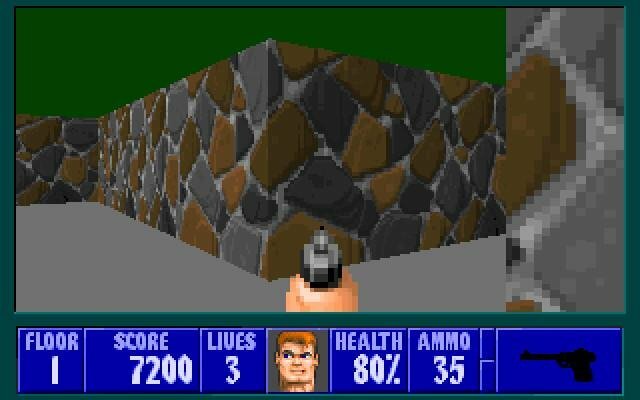 Spear of Destiny, an add-on pack for the original Wolfenstein 3D (standalone, doesn’t require the old game), was id’s final encore before moving on to the much more advanced Doom one year later. 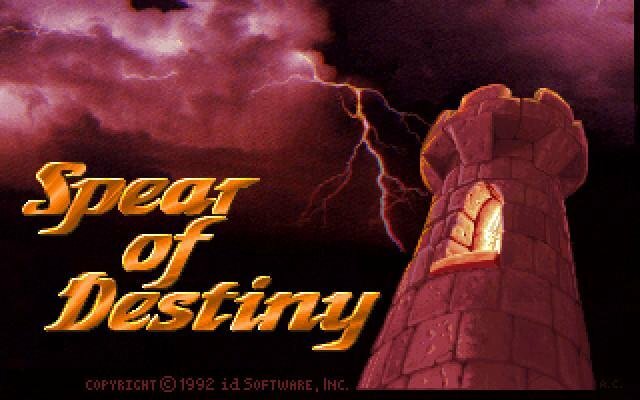 Granted, Spear of Destiny was more of a sideshow than a fully fleshed out game, so it plays like any mission pack. 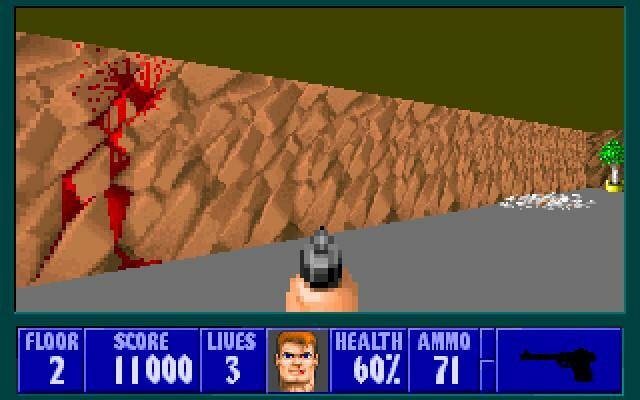 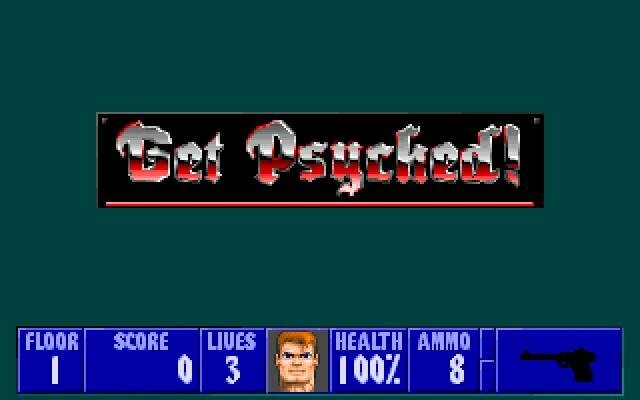 It’s a scaled down blueprint of what DOOM II would be like – a bunch of new levels, some new foes, music and improved map design, but no new weapons unfortunately. 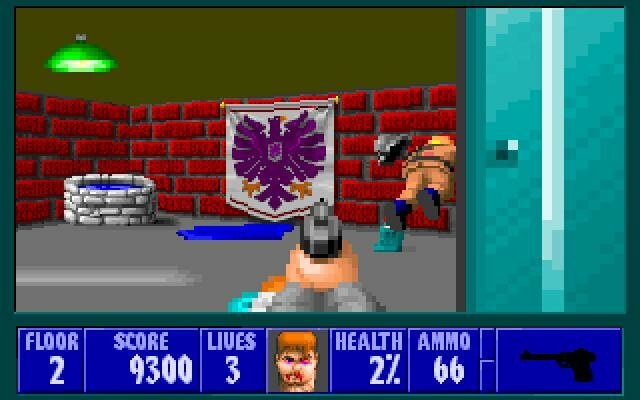 As far as story goes, you are legendary Nazi exterminator B.J. 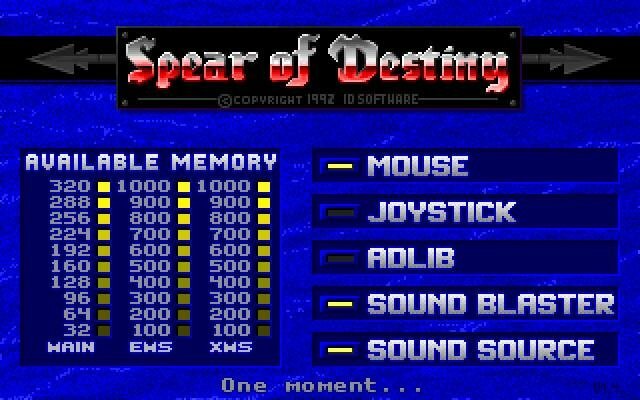 Blazkovicz, and you venture forth to retrieve the Spear of Destiny from Herr Hitler, an avid collector of magical ancient relics. 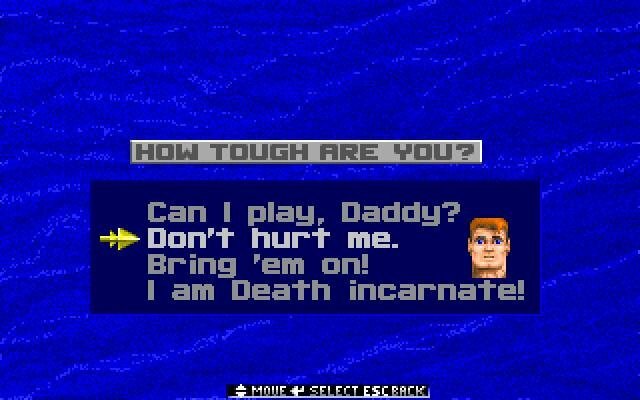 The final journey is comprised of twenty levels or so. 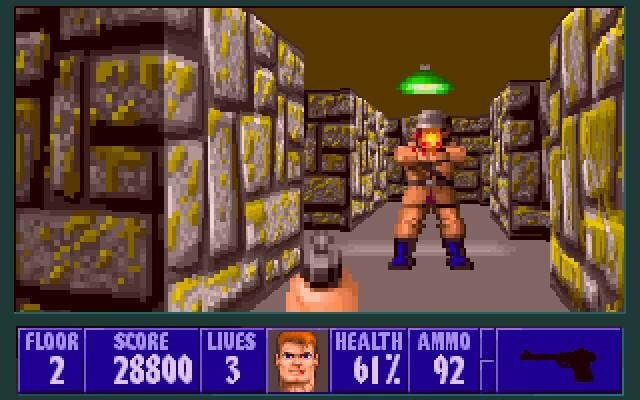 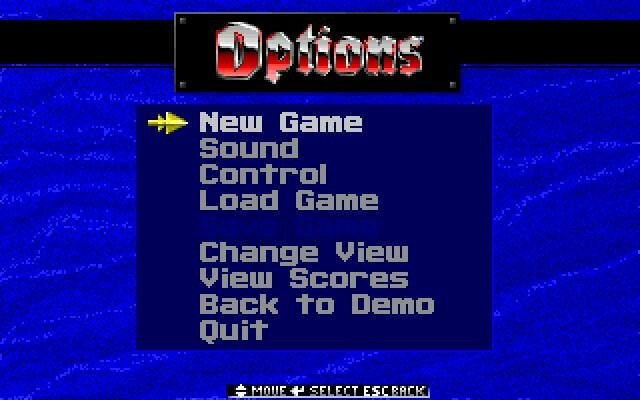 Unlike the original Wolfenstein 3D, it’s one continuous blastathon, so you can’t choose which episode to start from. 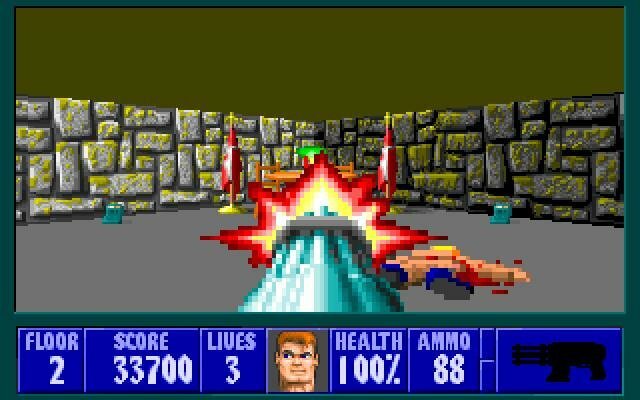 It takes about four or five maps usually until you stumble on a boss fight with Spear’s five new enemies. 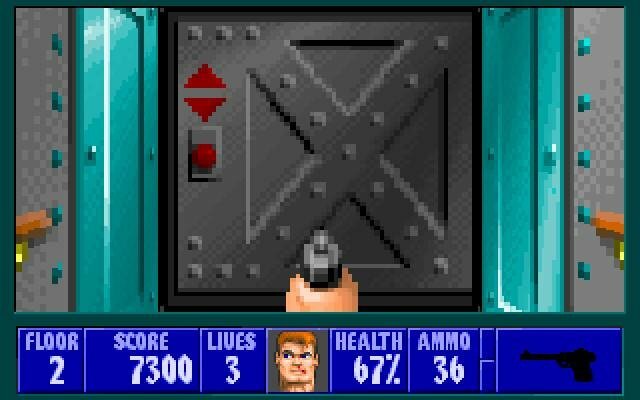 In the regular levels, unfortunately, you only face the main stew of enemies you’ve already gunned down a million times in Wolf3D. 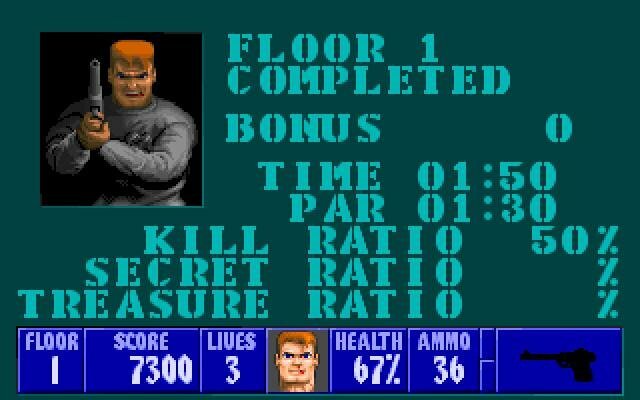 That’s the downside of it, but if it’s more of the same you want, you could hardly do better.